I know it’s crazy to be talking about raincoats when we’re heading into summer, but readers – these are definitely worth a mention no matter what time of year it is. 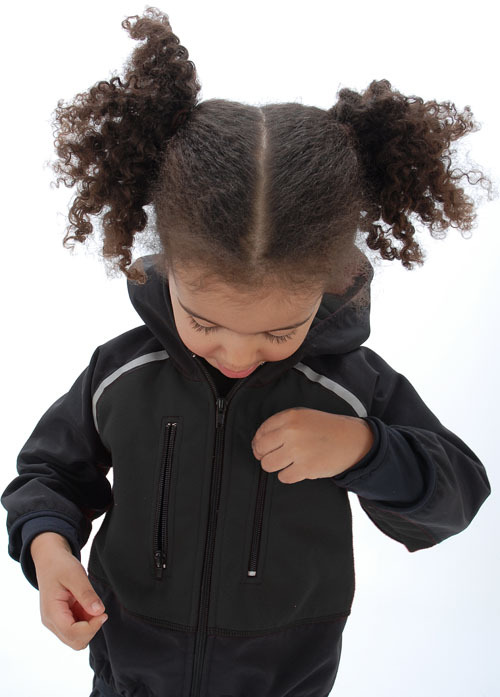 I do ask a lot from a winter jacket, especially when choosing one for my eczema-suffering three-year-old. Thanks to Agoo, I’m not asking too much; nowhere else have I seen a winter jacket that acts as a warm jacket and raincoat in one. Both the Rain Jacket and Rain Duster are made from 100 percent nylon with a water-resistant finish. Agoo really has thought of everything: there’s toggles at the waist to pull it in (keeping warmth in and wind out) and zippered pockets and thumb-holes at the cuff so sleeves don’t ride up! These jackets are available in black, navy and pink. Agoo is truly a ‘thinking’ company – the summer range features active wear for children giving 50+ UV protection, so you can rest easy knowing their clothing is working hand-in-hand with your sunscreen applications! The garments are also stain-resistant (hello cherries) and are beautifully light, stretchy and soft – perfect for active bodies. I’m particularly partial to the princess ruffle pants! The Rain Duster and Rain Jacket are priced from US$59.99 but unfortunately are not yet available in Australia. You can check out the summer range which is available in the Australian Agoo online store. Delivery is available Australia-wide.